Tournament location: Pinball Paradise, 1/213 Franklin Street, Melbourne VIC 3004. Tournament fee: $15 per person. 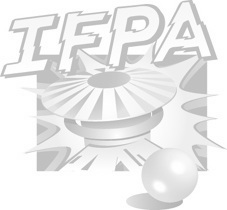 Entry is FREE if you have never played in an IFPA tournament before. So bring your friends! Format: 5 rounds of Matchplay (4 player groups). Balanced pairings means you won't be playing the same people every round. Each round scores points for finishing 1st, 2nd, 3rd, 4th. The tiebreakers are 1st and 2nd place finishes. Ball saves will be off all night during the trial period to ensure the event doesn't go for 4+ hours. After 5 rounds the top 8 will advance to 'A' finals. People finishing from 9 to 16 will advance to 'B' finals. There will be a 1 game playoff for positions 8 and 16 if needed. Seeds 1, 4, 5 and 8 play 3 x 4 player games. Seeds 2, 3, 6 and 7 also play 3 x 4 player games. Top 2 from each group move onto the final 4. Final 4 play 3 x 4 player games to determine final places. Seeds 9, 12, 13 and 16 play 2 x 4 player games. Seeds 10, 11, 14 and 15 also play 2 x 4 player games. Final 4 play 2 x 4 player games. Any one in the top 16 will go on a draw to win a Stern Pinball translite on the night. 1st in A division wins a Stern Army Dog tag and $100 bar tab (must be used within a month and CAN be used on the night). 1st in B division wins a Stern Army Dog tag and $50 bar tab (must be used within a month and CAN be used on the night). There are usually 1~2 jugs of beer which are usually randomly given away. Stern Army dog tags cannot be won by the same person twice, so it will be passed onto the next place in each division if someone has already won.